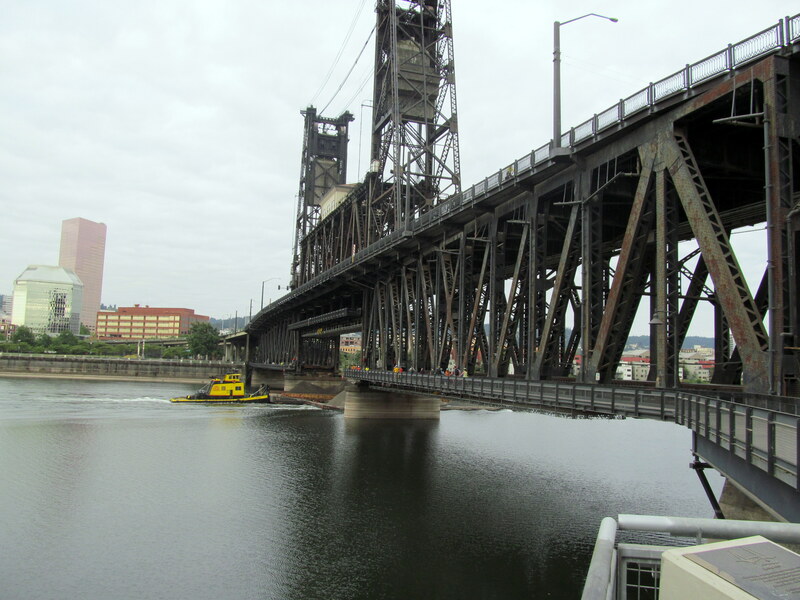 Each day, on my ride to work I can check on the progress of the new portland bridges. 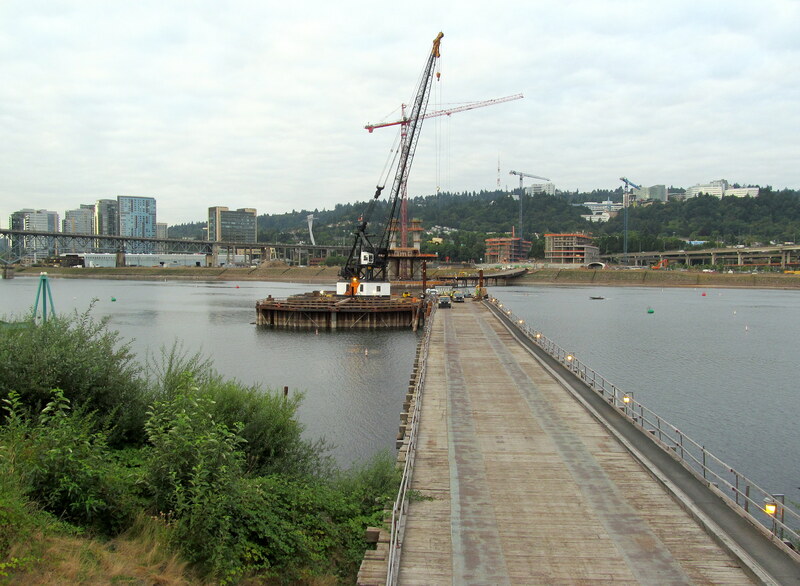 The two on the willamette are the Tri-Met light rail and the Sellwood replacement bridge. 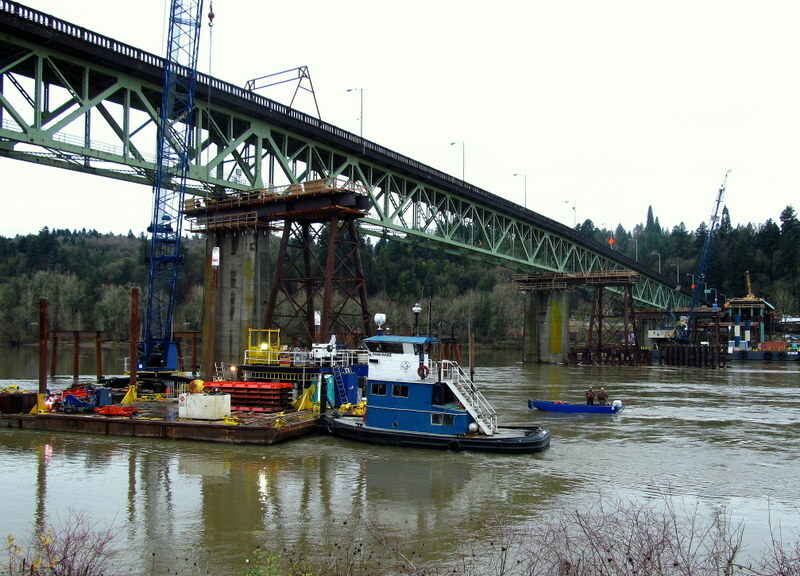 In just a few weeks, the old Sellwood bridge is going toÂ pushed 30-60 feet north, onto a temporary set of pillars, so that the new one can be built pretty much where the old one is now. In that way, traffic will be disrupted for just a week or so. This will be fun to see. This entry was posted in Spanning the Bridges on December 29, 2012 by golinielcomblog. SPRINGFIELD â€” Visitation will be held from 1 p.m. to 4 p.m. Sunday, Dec. 23, at Buell Funeral Chapel in Springfield for Marilyn Louise Gotter of Springfield, who died Dec. 15 of injuries sustained in an automobile accident. She was 67. She was born Feb. 23, 1945, in Springfield to Albert and Esther Nielsen Cheshire. She married William Gotter on Dec. 21, 1962, in Springfield. She attended Springfield High School and Lane Community College, receiving a degree in medical transcription. She worked for Dr. Henderson as a receptionist and medical transcriber. Prior to this, she worked for New York Life and for the Pleasant Hill School District. Survivors include her husband; a son, Ken of Junction City; a daughter, Deanna Baxley of Springfield; a brother, Jerry Cheshire of Springfield; six grandÂ­children; and five great-grandchildren. A grandson, Daniel Gotter, died previously. Arrangements by Andreasonâ€™s Cremation & Burial Service in Springfield. Remembrances may be sent to American Cancer Society. This entry was posted in Social on December 22, 2012 by golinielcomblog. Put into small containers and freeze. This entry was posted in Social on September 23, 2012 by golinielcomblog. Three years, we planted a Cardiocrinum. These plants tend to be monocarpic, dying after flowering. This one spent two years as a little knee high plant. We went away for a bicycle trip to Germany. We left instructions with the young son to photograph it if it bloomed while were were away. Here is what he saw. The night we came back, there was one wilted flower hanging on. And it dropped off the next morning. 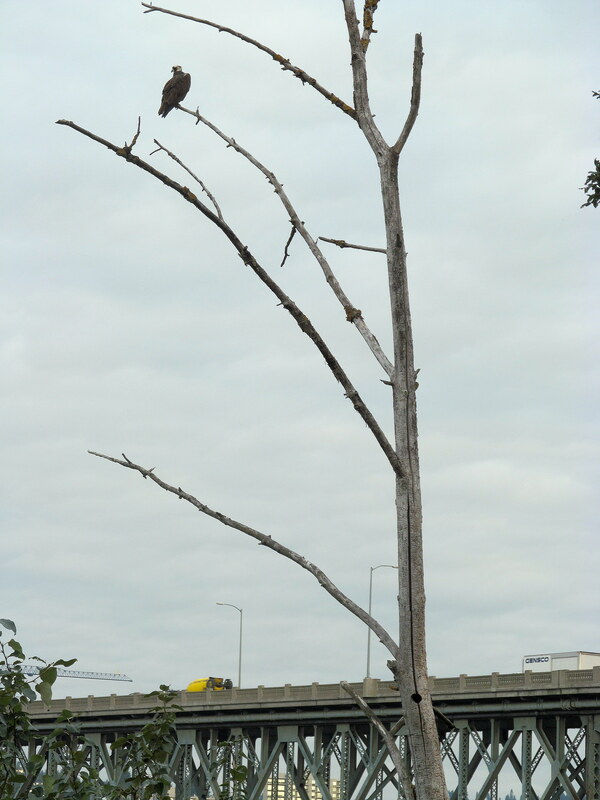 This entry was posted in Our Environment on August 2, 2012 by golinielcomblog. mouth Saturday while his opponents looked frazzled, declaring victory by sticking out his tongue to prove he swallowed. We had pickled herring in the fridge pretty much year-round,” Waage said. The contest was the noon entertainment at the 27th annual Scandinavian Heritage Foundation’s ScanFair. The fair runs through this afternoon, and the 56th Lucia pageant winner will be named at noon. The event, at Veterans Memorial Coliseum, is a celebration of Scandinavian Christmas traditions, and isn’t all pickled fish. The contest was sandwiched between local folk dance groups, such as Nordlys Folkdancers, who performed Swedish schottisches and Norwegian mazurkas. Vicki Biermann of Sandy joined the group seven years ago, despite her lack of Scandinavian heritage. “I’m probably the only one” without a Scandinavian background, she said. Dressed in traditional garb, she perused the vendor booths set up throughout the exhibit hall selling sweaters, handmade clocks and imported knickknacks. At Jean’s Hardanger & Scandinavian Gifts booth, Biermann felt the delicate Norwegian embroidered ornaments on a miniature Christmas tree. 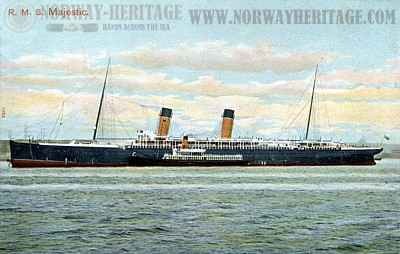 On a visit to Norway, booth owner Jean Akre of Kalama, Wash., admired the embroidery, called hardanger, but abhorred the cost. She took one class and started sewing it herself. The connection between Scandinavians and Portlanders doesn’t stop at holiday wares. Greg Nielsen, 29, tended trays of aebleskiver, a Danish pancake puff, at the Himmelbjerget Danish Camp fundraising booth. for two weeks each July. Nielsen started going in fifth grade, then became a counselor. He knows it’s not the usual youth wilderness adventure, but his family follows Danish traditions and camp immerses him more in his heritage. But surrounded by people in traditional dress munching on foods with hard-to-pronounce names such as varmkorv (long Swedish sausage), and lihapiirakka (Finnish meat pie), he fits right in. “It’s been fantastic to experience and learn about another country’s traditions,” Nielsen said. This entry was posted in Social on December 4, 2011 by golinielcomblog. 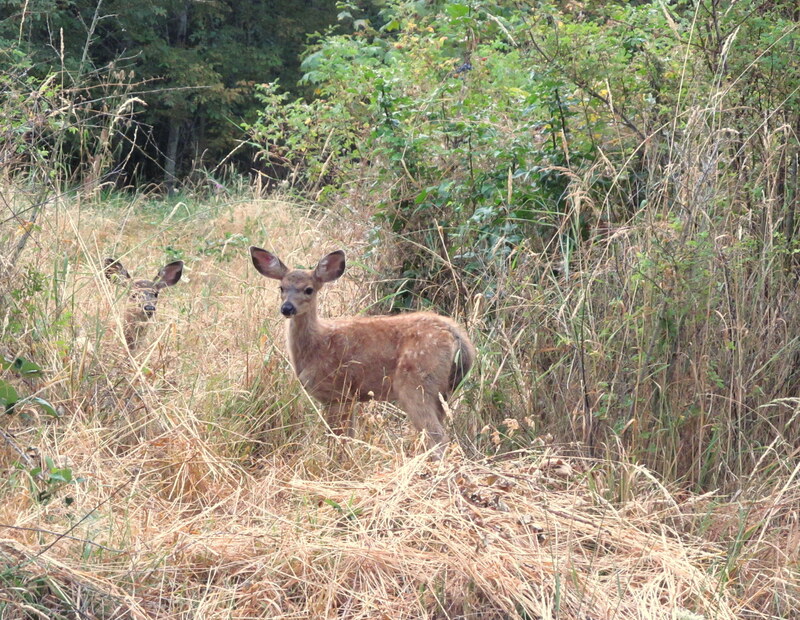 This morning on my bicycle ride to work on the Springwater Corridor just north of Oaks Bottom, I stopped to watch this doe, chewing on the ripening blackberries. Don’t know how he got to this spot, as its bordered by the Willamette, and heavily trafficked Mcloughlin Blvd. But the little guy did look hungry, and perhaps not as afraid of people as he should be if he is to survive this far in to the urban environments. Now its 4 days later, and riding at the same stretch of the bike path and theres the doe again, though this time there are three of them. I was able to get a shot of the last, and smallist deer as they headed back into the bushes. They must be bedding down in this spot right off the trail. This entry was posted in Bicycling & Fitness, Our Environment, Portland, Or, Oregon on August 12, 2011 by golinielcomblog. The ROAM ride (http://web.mac.com/josef.janning/Roll_over_America/Home.html) started out of Portland. I stopped by to check out the 50 bikes and see them off on their trip across the country. This entry was posted in Bicycling & Fitness on August 12, 2011 by golinielcomblog. Wandering around on my lunch hour I came across the set of Leverage filming some shots on NW 3rd Street. Christian Kane and Beth Riesgraf were hanging out between short takes. I watched him go over the same outburst of indignation 4 times.Â Cranes and tents and cameras and cables, chairs with actors names on them,Â and lots of people on headsets.Â They even had a couple of bicyclists hired to ride back and forth on the street during each take, although none of them had helmets! Interestingly each biker went back and forth about 3 times during each take, so wonder how thats going to work? I only managed to take a few shots before they ran me off. This entry was posted in Portland, Or, Oregon on August 2, 2011 by golinielcomblog.